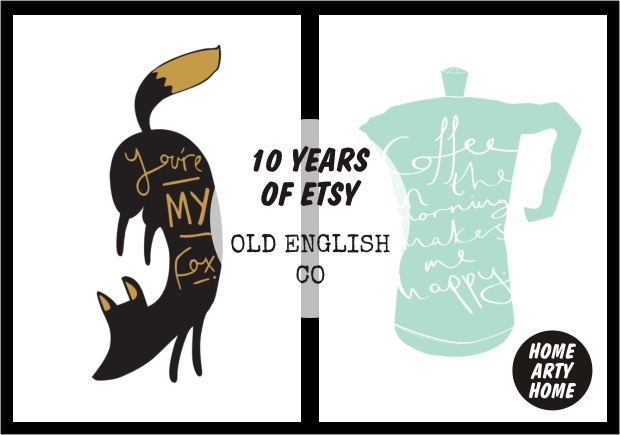 Time seems such a fluid concept sometimes, especially when considering that Etsy is celebrating 10 years of their marketplace this year. 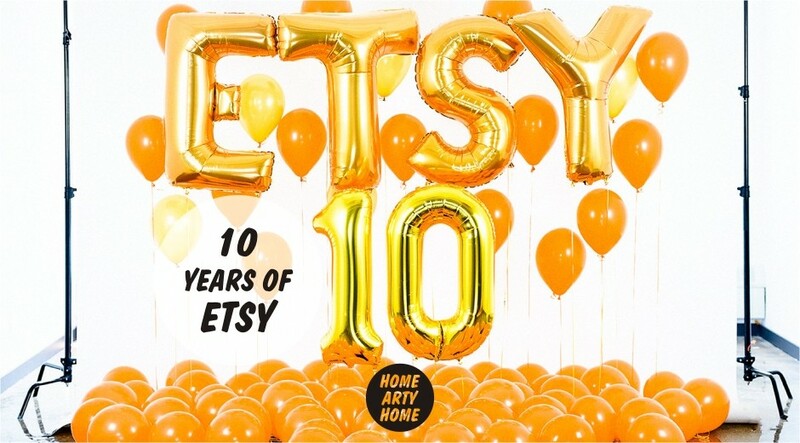 10 years of Etsy isn’t really that long a period of time yet, simultaneously, it’s hard to remember a time before the site. The marketplace seems to have always been there when needed, but that’s probably because it’s established itself as a must-have when looking for unique goods from independent makers, artists, and designers. The openness & inclusivity of the site, which allows creatives from across the world to sign up and sell their stylish wares, means it’s never been easier to shop for independent items that will add an individual touch to a home. 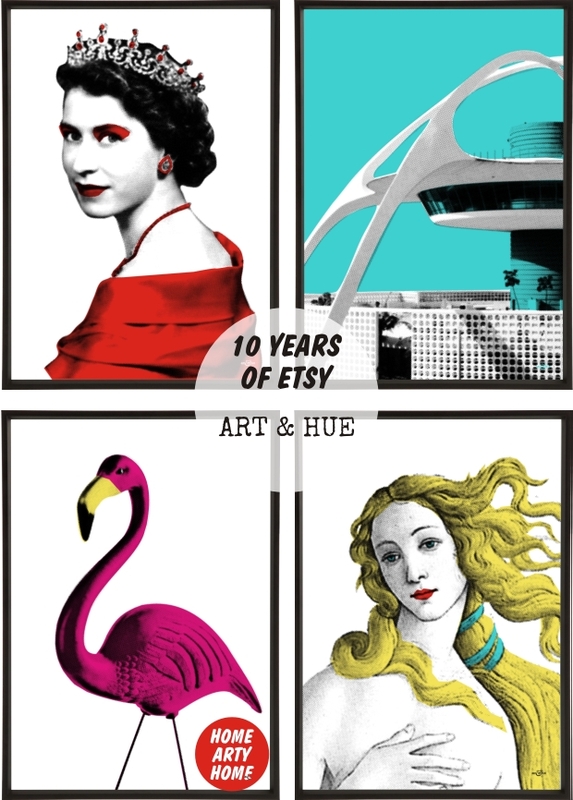 Take the wide range of artists on the site for example: there surely is something for everyone, from modernist prints to graphic pop art, delicate illustrations to bold maps, plus many Etsy sellers offer items that can be personalised, customised, or created from scratch for a truly one-off bespoke piece. 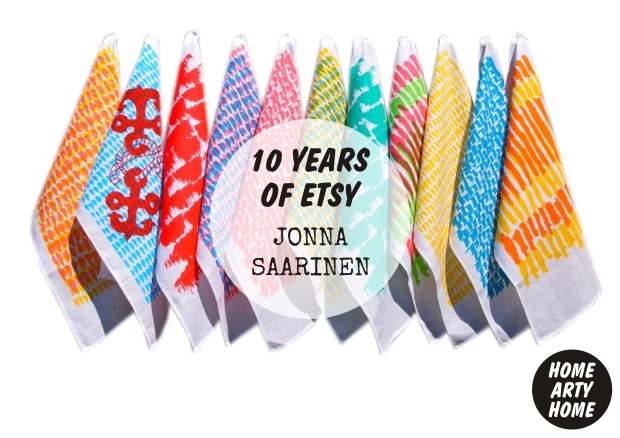 Of course with so much choice, it’s easy to disappear down an Etsy rabbit hole! A simple search can turn into hours of clicking and browsing from one artist to another, all the time discovering even more great finds (but as first world problems go, this really is on a par with “my diamond shoes are too tight”). Etsy provides a vital platform for emerging creatives to present their wares directly to the public and possible collaborators and, as the feedback from Etsy sellers I’ve elicited here will testify, the marketplace has proved important to get their work in front of possible shoppers & potential stockists globally. 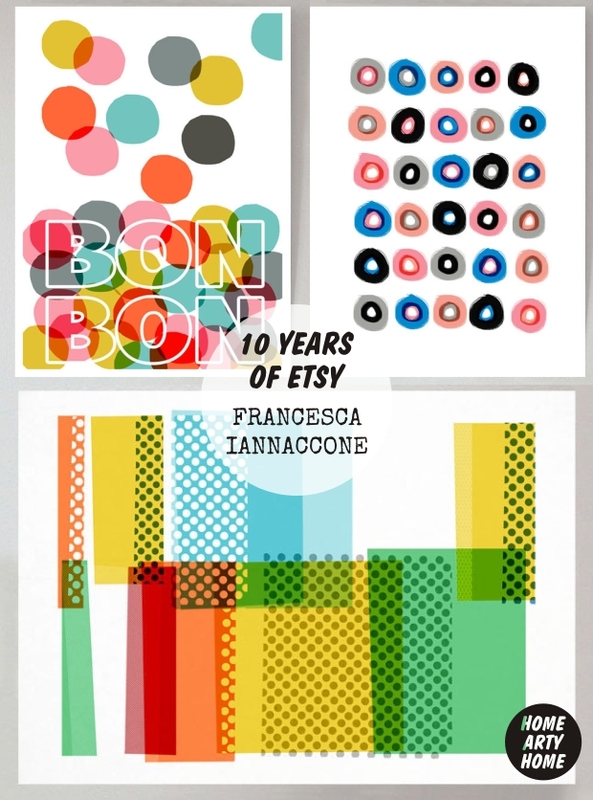 Not only does Etsy enable sellers to reach out directly to shoppers, the marketplace is also beloved as a way to make friends and business connections. 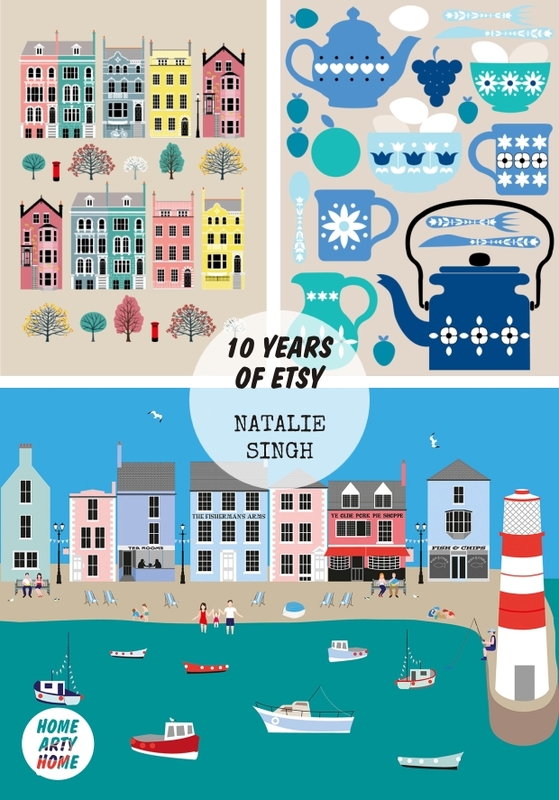 There are pop-up craft and sales events across the world which brings like-minded vendors together to present their work physically to the public, and it’s proved to be a successful online portfolio for finding shop buyers to stock their work. On a personal note, Etsy has proved invaluable to Home Arty Home to discover exciting and fresh work and I’m sure it will continue to do so. 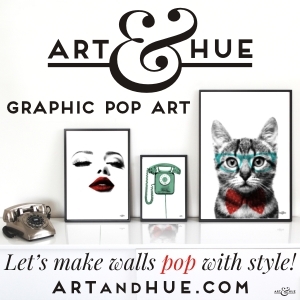 Since Home Arty Home launched on the 1st of January 2014, it’s been great to discover and feature the work of unique artists including Old English Co, Eloise Renouf, Jonna Saarinen, Art & Hue, Mappliqué, Francesca Iannaccone, Jimbobart, Bold & Noble, Sandra Dieckmann, Natalie Singh, to name a very, very few. There’ll always be fresh talent looking to present their art and connect with the public so I can’t wait to see the fresh work of new creatives that will be on Etsy in the future.